A tour to the Loire Valley is only an hour TGV/bullet train ride away from Paris or an easy two hour drive with our wonderful day tours from Paris. The Loire Valley was the summer home to France’s royalty in the 1400s, the castles are today enchanting places to explore, since each has its own intriguing history and splendid architecture. The area has lavish landscape, magnificent food (so what’s new in France!) and wine, and the Loire River meanders through the fabled region. To paint a total picture of this romantic region, your pallet must have shades of the forests and fields (fields of sunflowers would be in a summer painting! ), Renaissance-style ornamental gardens, shaded promenades, vistas from atop castle turrets, and rivers like the Cher and Indre. 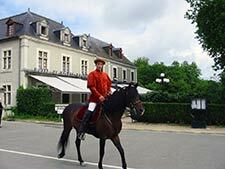 If you’d truly like to immerse yourself in the Loire Valley, there are some very special places to stay and A Paris Travel can arrange a package tour including accommodations and touring in the Loire Valley! The grandeur of Château de Chambord with its 400 rooms is not to be missed, but more from the outside, since its size is the most amazing feature! Equally impressive from the outside are the gardens of the Château Villandry (the last Renaissance château built in the Loire Valley). Bordered by 800 lime trees, the gardens are sculpted marvels like a patchwork quilt with more than 120,000 plants on three levels. More enjoyable to visit inside are Azay-le-Rideau (Balzac called this castle “a multifaceted diamond set in the Indre”), Amboise, Cheverny. The pièce de résistance is the Château de Chenonceaux, often called the Ladies Castle, with its magnificent gardens (one designed by King Henri II’s mistress Diane de Poitiers and the other one by his wife, Queen Catherine de Medicis). We are eager to have you experience these Renaissance jewels! A Paris travel will book a tour to Normandy, Saint Malo, and the Loire Valley. The Loire Valley has often been thought of as the playground of the Renaissance kings and royalty, but today it’s a destination to be discovered and appreciated by travelers who wish a break from the bustle of Paris. The visit makes a delightful Loire Valley day trip from Paris! Some of the smaller châteaux can be enjoyed as elegant hotels. 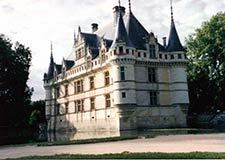 A Paris Travel has tours to the Loire Valley for multiple days. Our consulting experts can make reservations for you! In the legendary landscape, you can experience a night in charm, tranquility, and unparalleled elegance while during the day, exploring the magic and times past in enchanting history!